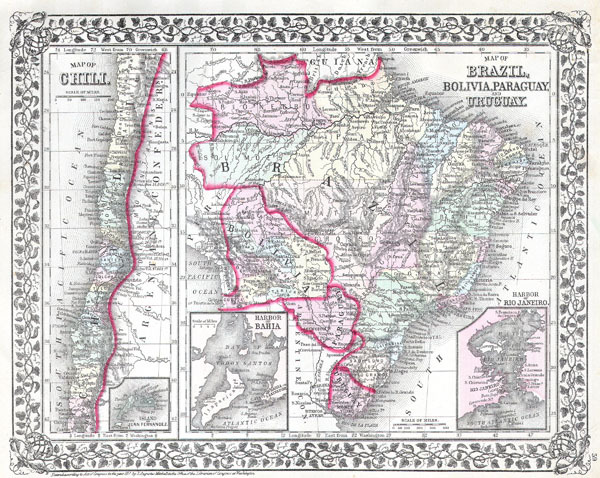 1872 Mitchell Map of Chile, Brazil, Bolivia, Paraguay and Uruguay. Map of Brazil, Bolivia, Paraguay, and Uruguay. Map of Chili.